Looking to heat up your eyewear with a little Latin flair? Kenmark Group has just the specs for you, their Thalia Eyewear Collection. Each frame is inspired by international superstar Thalia, who just happens to know a little something about fashion and Latina specs-appeal. 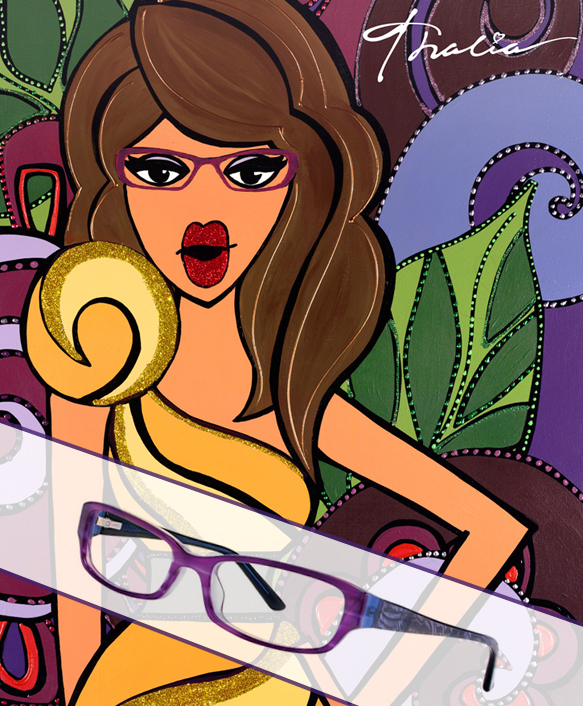 These new frames make use of vibrant colors, playful temple décor, unique embellishments and flirtatious shapes. Women who are drawn to the Thalia Collection aren’t afraid to live out lout or express themselves through bright, bold designs. So, gather ‘round all of you strong, confident ladies and pick out which Thalia frame suits your unforgettable personality. Oh, and one more fun side note—the Thalia collection’s marketing materials has a brand new look! Now counter cards, posters and postcards will feature the colorful illustration pictured below. We love the fresh design!